We are delighted to present to the open market this recently constructed ground floor apartment. Situated just off the Belmont Road, within a popular and highly sought after residential location. Ballyhackamore Village and Belmont Road with their wide range of day to day amenities are only a short stroll away. Public transport links to Belfast are also within walking distance. Internally the accommodation comprises one double bedroom, lounge, modern fitted kitchen and bathroom with white suite. 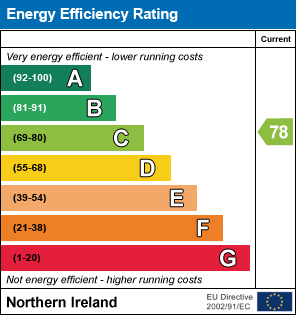 Additional benefits include Phoenix gas central heating and uPVC double glazed window frames. We are confident that this property will create an early interest on today's rental market. To avoid disappointment early viewing is strongly recommended. Recessed low voltage spots. Double glazed sliding patio doors to patio area. Open plan. Excellent range of high and low level units. Laminate work surfaces. Splashback. Integrated fridge/freezer. Integrated washer/dryer. Stainless steel built in oven and four ring hob. Stainless steel chimney extractor fan. Laminate wooden floor. Recessed low voltage spots. Breakfast area. Check out the property I found on PropertyPal.com: Apartment 1 12 Belmont Avenue West, Belfast BT4 3DG.